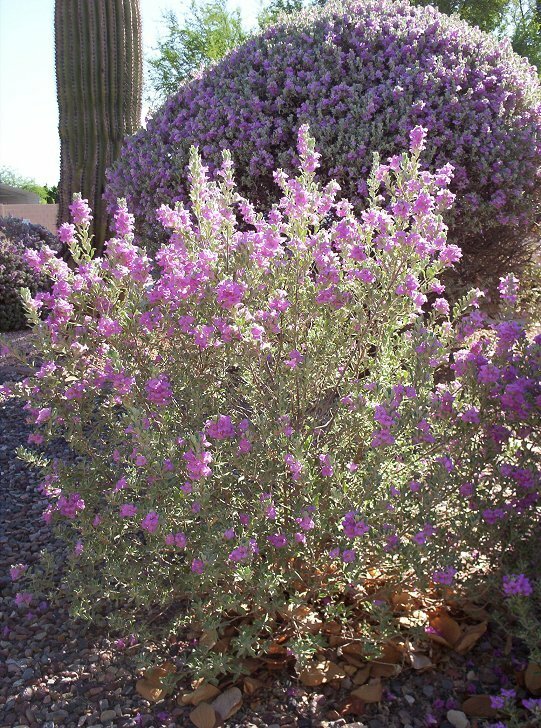 Texas sage bushes are a staple of many Phoenix landscapes. They can be easily trimmed into attractive round shapes but one should be careful in doing so because texas sages grow relatively slowly. A beautiful but brief display of flowers will often follow hot humid weather. 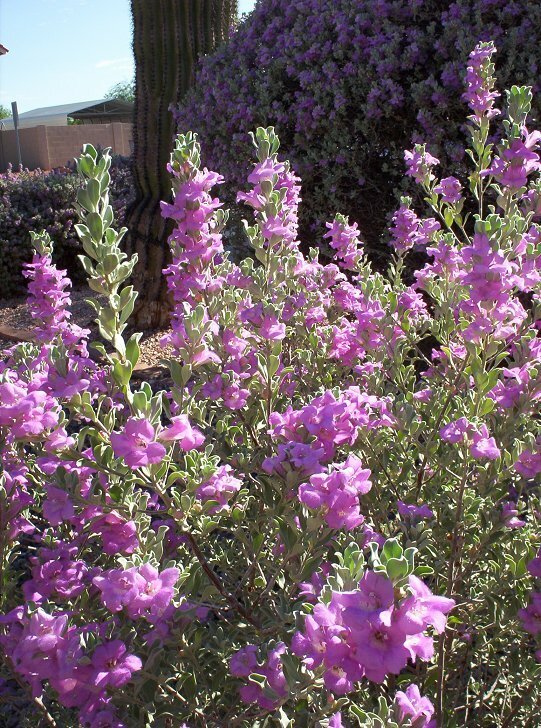 Several varieties of texas sage are available. Most have silvery green foliage and purple flowers. Green Cloud has a light green fresher looking foliage than most and is also one of the best bloomers. White Cloud has white flowers and is the least remarkable of the varieties. The photos below show texas sage bushes in bloom in early August. They are most likely a variety known as Thunder Cloud, which is especially drought tolerant.